has concluded and boasts a serious amount of British talent. Not refined and confined to certain genres: the list is the most diverse and Urban-influenced in recent years. Whereas fellow nominee (and eventual winner) RAY BLK is a bit more street-wise and Hip-Hop-influenced; nineteen-year-old Jorja Smith was fourth-placed - and rightfully so. Her music has sensuality and incredible primal power but sources from rather unexpected places. Blue Lights brought samples/spark from Dizzee Rascal’s Sirens; Smith, for another track, took inspiration from a rather unexpected source: seventeen-century composer Henry Purcell. You cannot draw a line through those artists: there is no shared D.N.A. or any common traits. In other musicians’ hands, there might be some pretentiousness and insincerity bringing together a Bow Grime legend and Classical composer but Smith is as pure and free-from-any-ego as they come. Comparisons have been made with Amy Winehouse by many: you detect similar Blues/Jazz oeuvres and that gutsy, heart-aching potency - a mix of tragedy and seductiveness Winehouse was famed for. Smith has no plans to rush into a record deal and is free and unobstructed to make the music she wants to – without the demands and control of executives. Because of this, tracks like Where Do I Go Now? – the video was filmed on her aunt’s stairs, no less – is the sound of a young woman discovering who she is and making her way in music. “At home I'd come downstairs with an idea and say, "What do you think of this?" He'd be like, "I can't hear the chorus, maybe change that". It was all constructive criticism...Originally the line was, "So lonely now my friend". My dad was like, "How about you change it to, 'So lonely has become my friend?'". I was like, "Oh that sounds really good." I told him I was going to shout him out at the first show I did”. Smith went on to explain the origins of her song, Blue Lights (“I used to catch the number four bus and I have two friends, and I based it on them because they are stereotypically what I'm talking about in the song. They were the type of boys who would be like, "Ah, police, the feds are coming") and got a message from Dizzee himself – who vibed to the song and gave it a hearty thumbs-up. 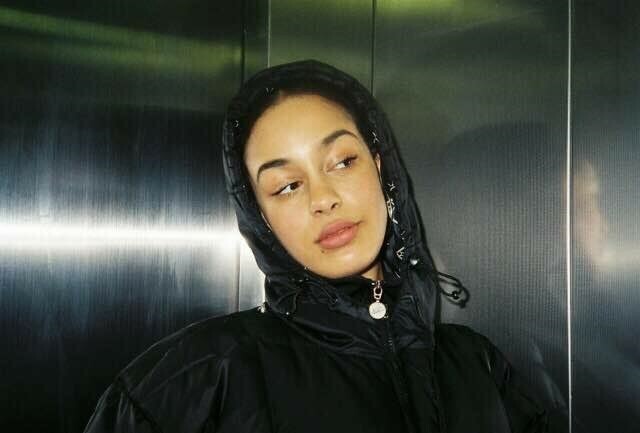 There is something modern and vintage about Jorja Smith and the music she makes. Previous BBC nominees and tipped artists have been too Pop-based and very predictable. This year, there are acts heralded who write the most obvious and uninspired songs you’ll hear. Smith, by contrast, is a real songwriter whose degree of truthfulness is hard to find – she is very much in 2017 and aware of her surroundings. “Yes. I'm trying to give a message to people - be real to yourself. The only person you need to please is yourself. From a young age you do stuff… even me at school. I wasn't the best looking girl at school. I always fancied loads of boys and I'd always get rejected and no-one would go out with me and I'd always be trying really hard to make people look at me. But I realised you don't need to do that”. “If I’m in the studio and someone’s playing chords or patterns I’ll start singing a melody and certain words will just start to stick – I might just keep repeating a word – and that’s what I’ll tailor the song to. Blue Lights started with ‘don’t you run’. I used to write things down in a little book and now usually it’s with a voice note on my phone but I like free styling when I’m singing”. Although she recognises the shallowness of social media (in the interview Smith recognised how a pouting ‘selfie’ would get more attention than a song) the fact people can share the music and express their thoughts via Twitter is pleasing to her. Whether London life, all its rush and distraction, will change Jorja Smith has yet to be seen. The D.I.Y. route will still be important but one feels record deals will be coming her way pretty soon. I am pleased she is not someone lured by money and singing on someone else’s terms: the music is queen and creating it in her own way is vital. She has a great team around her and is taking the time to develop and learn. She stated, in the interview, how there is a “lot of growing up to do” but she is happy who and where she is right now – a refreshing and pleasing thing to hear from an artist making her way into the mainstream. “It's really strange, and I still find it a bit mad how it went like that. But people want to hear good music, they don’t want to hear rubbish, so once something good comes along, it’s going to keep on growing”. Smith’s father, being a musician and a former band member, knows the trade and has passed on wisdom and lessons to his girl. That is a good grounding and (that knowledge) will give her an edge as we mature into the year. Gaining a fourth-place spot on BBC’s hunt for year-defining music is a huge honorific and will provide huge confidence to the teenage sensation. Tour dates are coming and Smith, like the other acts I have mentioned in my feature, will want to take her music abroad. Songs like Blue Lights have connected with U.S. ears, its universal themes and ever-relevant messages of caution and need for thought, and has provided Smith the chance to play in America. She starts a mini-tour of the country at New York’s SOB’s on 22nd before hitting-up The Echo (Los Angeles) two days later – hanging in California to gig at POPSCENE on 27th. Shooting from the east of America to California’s West Coast might seem like a daunting prospect for a young British artist but Smith is pumped and ready to go. The gig experience she has amassed - regular spots on BBC Radio 1 and gigs across the capital – has prepared her for the task at hand.